The patient safety software can help detect early risk of of potential harm to patients while they're in the hospital, said the company. 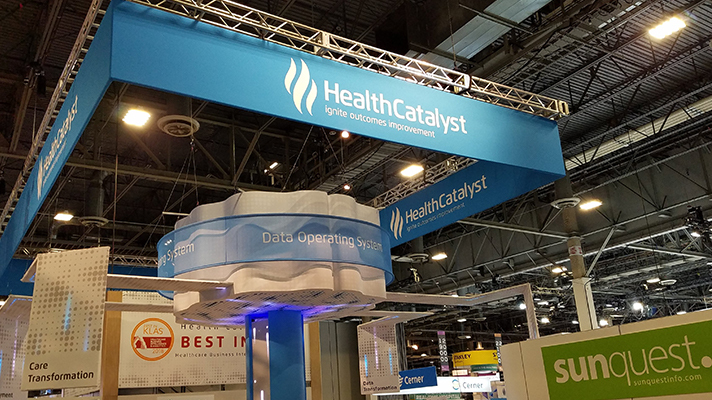 Health Catalyst announced a new surveillance module for its Patient Safety Monitor suite that aims to help hospitals protect patient safety by deploying predictive analytics to monitor, predict and prevent inpatient risk. Built atop the Health Catalyst Data Operating System, the new module was developed over two years of intensive and expensive research – nearly $50 million, the company said. It's a trigger-based surveillance system, incorporating predictive algorithms and artificial intelligence, that can spot patterns of harm and offer decision support to address potential hazards. By combining text analytics and near real-time data from multiple sources, the technology can detect safety risk for inpatients. Health Catalyst noted that the standard approach of manual reporting of hospital safety events, often using data that is at least 30 days old, reportedly finds less than 5 percent of all-cause harm. Meanwhile many electronic health records and data warehouses have drawbacks of their own, missing the AI capabilities that could enable wider surveillance. Many hospitals, therefore, are limited in their approach to patient safety, using point solutions focused on specific risks, rather than whole-person safety. As part of its patient safety efforts, Health Catalyst has applied for certification as a Patient Safety Organization with the Agency for Healthcare Research and Quality. If approved, the Health Catalyst PSO will offer an environment where hospital clients can collect and analyze patient safety events from their EHRs to learn and improve, the company said. The surveillance technology release comes on the heels of Health Catalyst completing the acquisition of Medicity from Aetna to expand its footprint in the outpatient space and combine analytics with HIE. The merger adds Medicitiy's 75 health system clients, with more than 1,000 hospitals and 185,000-plus physicians, in addition to nearly two-dozen HIEs as well as payers and employers. In an interview, Health Catalyst CEO Dan Burton said the company will leverage Medicity’s data sets and transactional capabilities to complement its own analytics tools and help its clients maker smarter, data-driven decisions to enable value-based care. "We've amassed a big data set focused more on the acute care setting, which is were we grew up, whereas Medicity has strong transactional capabilities that are really a complement to our analytics space capabilities, and they're more ambulatory focused," Burton said. By adding Medicity's technology, Health Catalyst expands its reach beyond its existing client base of 400 hospitals and 4,000 ambulatory sites, bringing real-time analytics right to the workflow inpatient and outpatient EHRs, he said. "Clinically integrated networks and others have rightly noted a gap in Health Catalyst's experience set with real-time transactional capabilities," said Burton. "Offering that data exchange capability, in-depth, is not something we've had a great answer for."